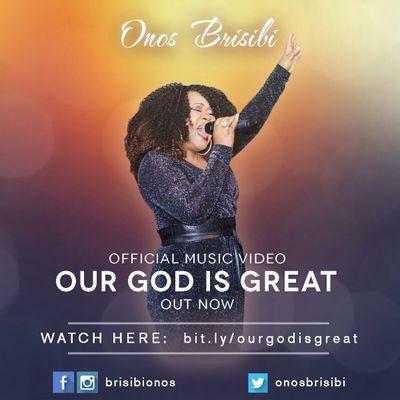 Chicago based music maestro Onos Brisibi is out with the official visuals to her hit single ''Our God is Great''. The video was shot in the US and was directed by Da Bishop. Onos whose voice is behind the best of Nollywood Movies soundtracks from way back; like 'Deadly Passion', 'Domitilla', 'Blood Money', 'Dead End', 'Mortal Inheritance', 'Shame' and a lots more; started singing at the age of 9; and today; that voice has drawn her recognition both locally and internationally. A devout Christian; she has over the years supported the music ministry of her church; Christ Embassy as a worship leader. Onos has been instrumental to the success stories of Nigerian artistes including big names like LAGBAJA who she performed a duet in his overwhelming album "No Do Gragra". Others include Daniel Wilson, Sammie Okposo and more. She won the FAME MUSIC AWARD (FMA) for best upcoming artiste many years back and was also honored with the Diamond Special Recognition Award USA Edition in 2013; including numerous nominations. According to Onos, this song will lift spirits that are down. She emphasized that the song ministers to her every time she listens to it and she believes it is a miracle song. Furthermore, she said; the song expresses God's greatness, splendor, beauty and the wonders of his uncountable blessings.